A University of Maryland professor has devised a new way to use wood and sodium to create cost-efficient batteries for storing large amounts of solar and wind power. Lianbing Hu and his group at the university’s Energy Research Center shaped microscopic wood fibers into thin sheets, then coated them with carbon nanotubes before packing them into small metal discs. Instead of the more expensive lithium, Hu used sodium ions because they move around well in wood, creating current efficiently. What makes the wood-sodium battery a potentially valuable breakthrough is that both materials are far cheaper than those typically used in batteries currently on the market. “I think this wood-based storage can play a very important role as a low-cost solution,” Hu told NPR. If Hu’s group can scale up their small prototype batteries, they would have devised an economical medium for storing the vast amounts of energy generated by solar or wind farms. Interestingly, the fact that Hu’s group works with many foreign PhD students may have played a role in a bit of serendipity in the development process. Hu allowed an undergraduate engineering major named Nicholas Weadock help out by editing the papers being written by the group’s foreign doctoral researchers though he normally doesn’t work with undergrads. 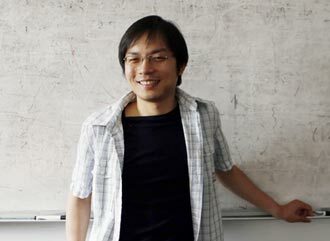 Having developed an interest in energy-storage technology, Weadock decided to show that he can make a contribution to the scientific aspect of Hu’s work. He made a point of attending all the group’s meetings to ask questions and make suggestions, including proposing ideas for the design of the wood battery. As a result Weadock is included as one of the co-authors of the study published in the scientific journal Nano Letters, a rare honor for an undergrad. Working with Weadock has convinced Hu to recruit more undergrads for his lab while Weadock has decided to focus on energy storage when he begins grad school at Cal Tech in the fall. Professor Lianbing Hu led a University of Maryland team in developing a wood-salt battery.